In Wisconsin, July is the season for 10-a-side rugby with tournaments like Pigfest 10s, Lumberjack 10s, and Stu Daily 10s (now the WRC Memorial Tens) having a well-known reputation around the state. Played primarily by Men’s teams, tens rugby does not appear to be growing in the state and recent developments suggest the appetite for the variation is changing, and in fact may be waning. The first indication of changing interested in rugby came not from tens but from sevens rugby as the Leinie’s 7s tournament announced it would switch to the 15-a-side code for 2019. A crowded field of sevens events in the summer is likely a contributing factor for this decision. It appears that the popularity of sevens rugby may also affect team availability for tens rugby. In similar news the youngest tens rugby event in Wisconsin — the Titletown 10s — has informed Lakefront7s.com that it would not be hosting an event in 2019 following low interest last year during its third season (2018). While the organizers are still considering the event for 2020, the long-term viability of Titletown 10s remain uncertain. 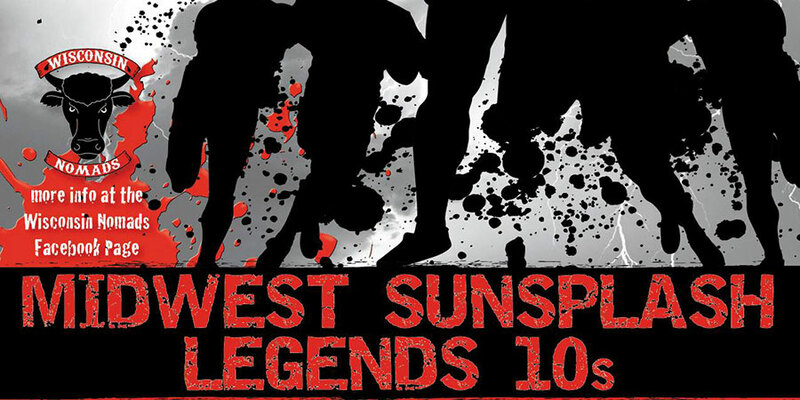 In contrast to these cancellation, the Wisconsin Nomads Old Boys RFC have announced a new summer rugby event, the Legends 10s tournament. The event will be held in Appleton, WI on July 27, 2019 (contact details for the event can be found on our 2019 summer rugby calendar). The event targets players who are retired from league competition as all players must be at last 35 years of age. However, Legends 10s is scheduled the same day as the Lumberjack 10s. While the Lumberjack 10s is not focused on any age-based demographic, it is held in Minocqua which is about 4 hours northeast of Milwaukee where the majority of the state’s players reside. Legends 10s is only a two drive from Milwaukee. It remains to be seen if there is enough interest in the state for two 10s events on the same day, or even to sustain the existing tens rugby events. Update 3/5/2019: We have been informed that the Lumberjack 10s will be moved to Waukesha (Minooka Park) for 2019 to coincide with the 40th anniversary of the event hosts (Black & Blue RFC).